If you are looking for a tutorial to add Facebook Fan Like Box the you can add it by following the simple steps given in this post. 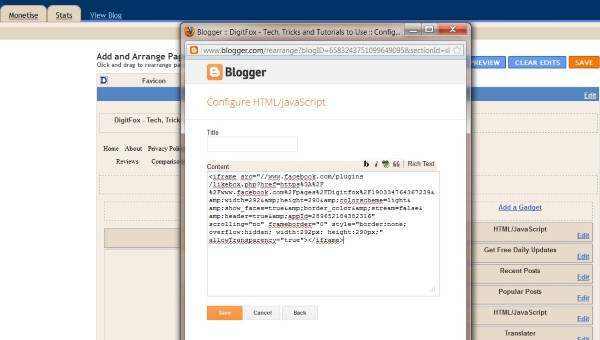 We are on Blogger platform and made this very simple for bloggers who are using Blogspot platform. Just follow the simple steps below to add you like box easily in your blogger blog. 1. 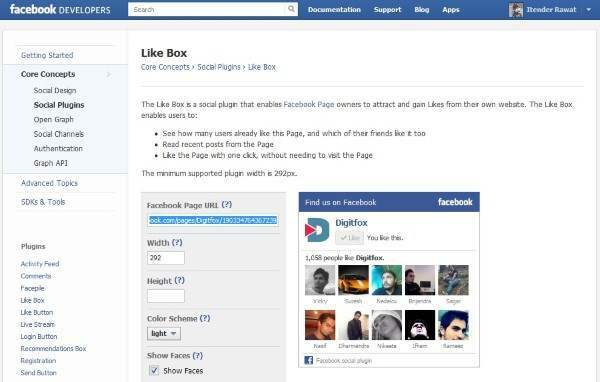 Goto the Facebook developers page and hit the Like Box under the plugins category in the left side of the page. Copy you Facebook Fan page URL from your Browser and paste that in the URL section in the page ( look at the screenshot). 2. Now you can see that your fan page is ready. Enter the desired width in the width section. Choose color Scheme. You can select the other features like Show Stream or Show Header in the settings. Note : Please check the Show faces section. 3. Click the Get Code at the bottom. Choose the IFRAME section on the top of the popup window and copy the code. You can go for HTML5 or XFBML version if required.